Every first Tuesday of the month, one of our curators unravels the stories behind a single iconic artwork currently on display at the Gallery. 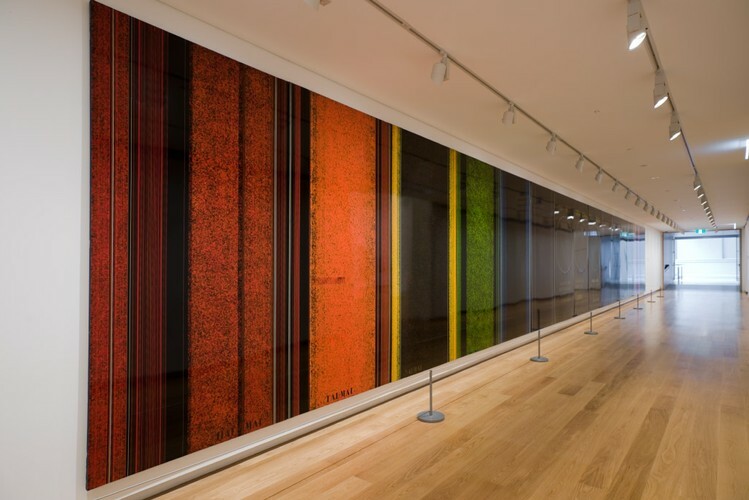 In March Senior Curator, NZ & Pacific Art, Ron Brownson will take you into one of our corridors to discuss the 18-metre long work "Godwit/Kuaka" (1977) by Ralph Hotere. This work was originally a mural painting commissioned by Auckland International Airport, where it was on display until 1996. Only 15 spots available, booking required. This is a Gallery Members-only talk. If your membership includes a guest pass you can book for a plus-one too. Image Credit: "Godwit/Kuaka", 1977 (installation view). Auckland Art Gallery Toi o Tāmaki, 2018. Restaurants to book near First Tuesdays: "Godwit/Kuaka"